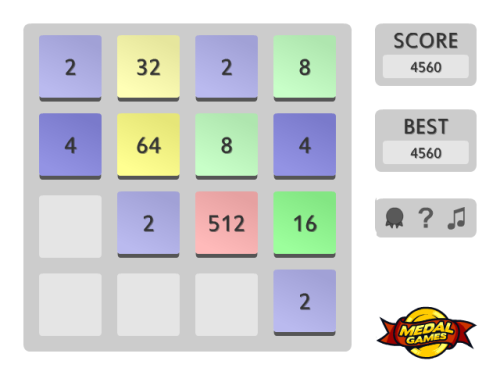 Description 2048 is a simple puzzle game with sliding blocks that requires some strategy to get a highscore. Controls Use the mouse or keyboard to make moves. Slide blocks with the same value together to make them merge and double their value. Try to reach the block with value 2048 in this strategic puzzle game.